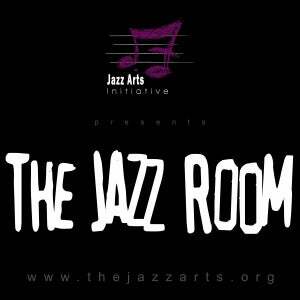 After much-acclaim and sold-out performances, Charlotte’s Jazz Arts Initiative’s (JAI) monthly series—The Jazz Room @ The Stage Door Theater – wraps up season 11 on September 14 & 15 as extraordinary New York jazz clarinetist Janelle Reichman pays a special musical tribute to the “King of Swing”, BENNY GOODMAN. The Stage Door Theater is part of Blumenthal Performing Arts Center, at the corner of 5th and College in Uptown Charlotte. With a career spanning over six decades, clarinetist Benny Goodman’s success as an icon of Swing Era prompted Time magazine in 1937 to call him the “King of Swing.” Over the years, Goodman played with the greatest figures in jazz including Bix Beiderbecke, Louis Armstrong, Billie Holiday, Ella Fitzgerald, Count Basie, Mildred Bailey, Bessie Smith and countless others and was the first jazz musician to appear at Carnegie Hall. Many of those who played with him as sidemen later achieved fame as leaders of their own bands, as soloists or as movie or TV actors including Harry James, Gene Krupa and Lionel Hampton. In 1982, he was honored by the Kennedy Center for his lifetime achievements in swing music. He continued to play the music that defined his lifetime in occasional concert dates until his death in 1986. Clarinetist and Pennsylvania native Janelle Reichman discovered her love of music at an early age when she picked up the clarinet as a fifth grader. As a teenager, Reichman was a member of bands that opened for Nicholas Payton’s ensemble and The Jazz at Lincoln Center Sextet, as well as attended numerous festivals around the country, including the Detroit International Jazz Festival, where she was named Best High School Saxophonist. Throughout her career, she has performed across the United States with many great musicians including as Doc Severinsen and his Tonight Show Band, Les Paul, Anne Hampton Callaway, DIVA, Dave Liebman Tim Ries, and Bob Mintzer. Reichman holds a Bachelor’s degree in jazz saxophone from the University of Cincinnati College-Conservatory of Music and Master’s degree from the Manhattan School of Music.